PSPS member Gary Stevenson recently visited Wingfield Castle and has supplied some pictures of her. Unfortunately she is currently closed to visitors. Paddle Steamer Wingfield Castle at Hartlepool on Thursday 2nd August. 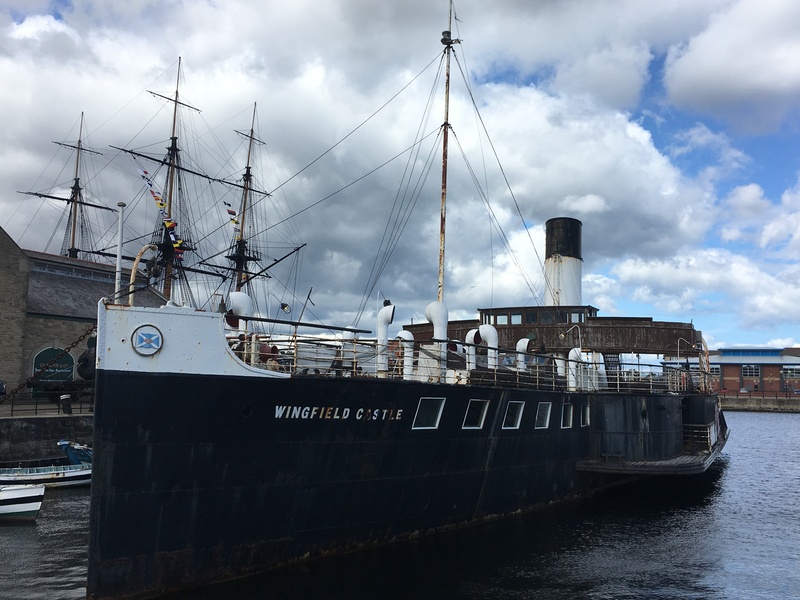 Paddle Steamer Wingfield Castle operated on the Humber as a ferry. She was built in 1934 for the LNER and operated alongside sister ships PS Tattershall Castle (now on the Thames in London) and PS Lincoln Castle (sadly broken up a few years ago). Wingfield Castle was withdrawn when the Humber Bridge opened in 1974. 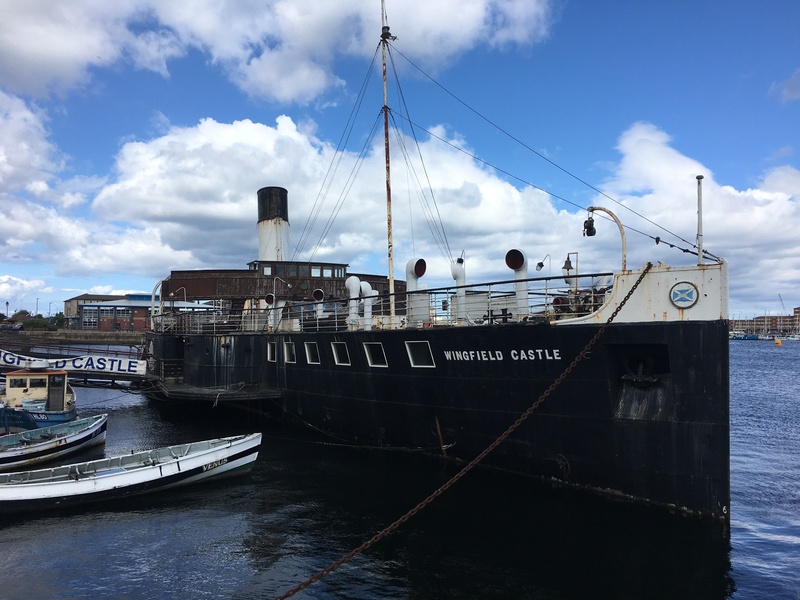 Built at the Hartlepool yards of William Gray & Company, the keel of the Wingfield Castle was laid down on 27th June 1934. Work progressed quickly on the first two sister ships, and they were both ready for launching by the afternoon of 24th September 1934. 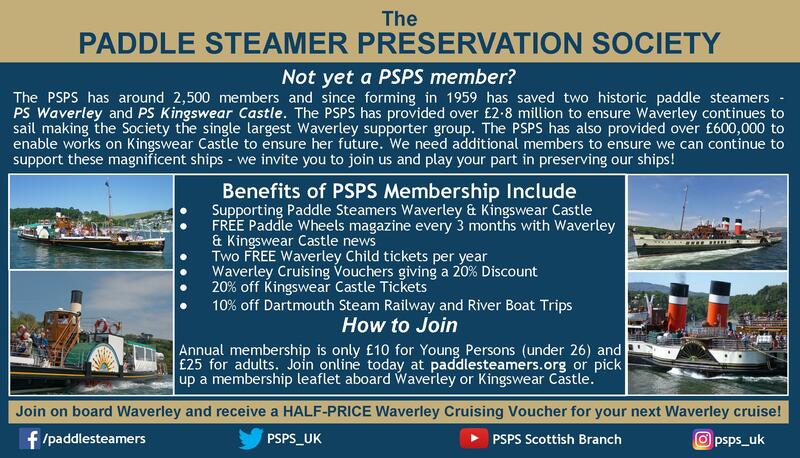 Powered by a triple expansion, diagonal stroke, reciprocating steam engine Wingfield Castle could maintain a steady operating speed of 12 knots. She has an overall length of 209ft (63.3m), a beam (including paddle box's) of 56ft (17m) and a gross tonnage of 550 tonnes. 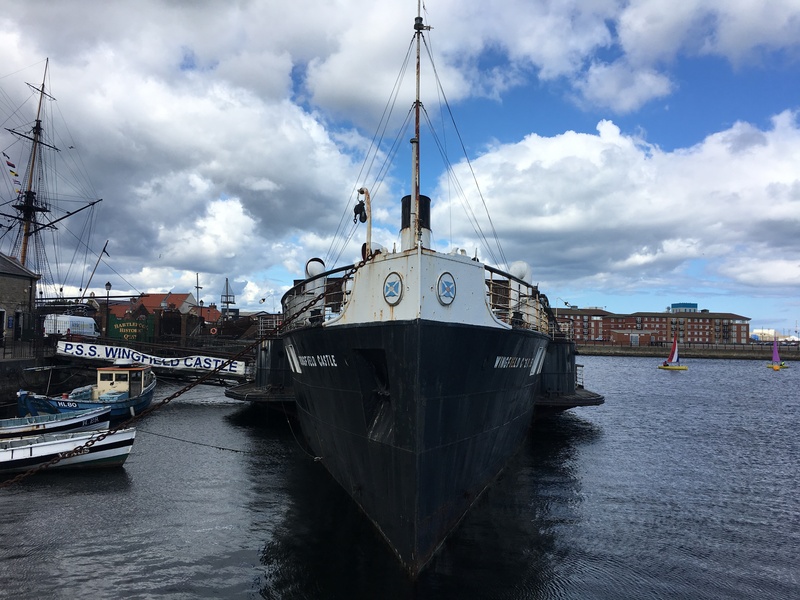 The ship returned to her birthplace in June 1986 and now forms part of the rejuvenated dock area and Hartlepool's Maritime Experience.